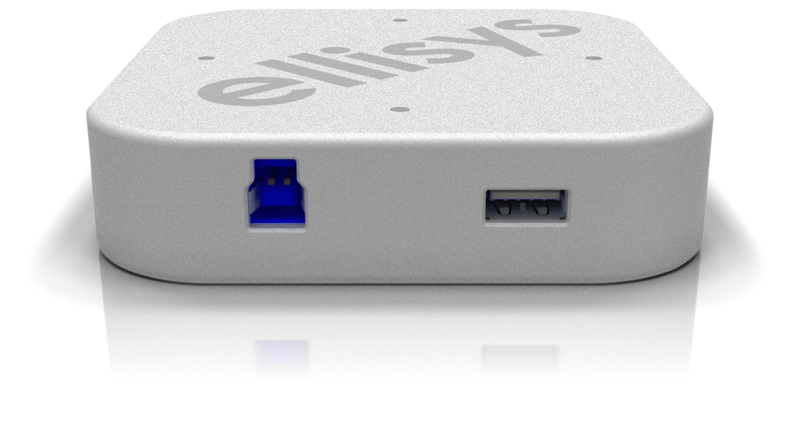 Geneva, Switzerland — March 11, 2015 — Ellisys, the leading provider of USB Power Delivery and USB Type-C™ protocol analyzers, testers, and compliance suites announced today it has added support for DisplayPort Alternate Mode operation on its USB Explorer™ 350 Protocol Test Platform. The added support covers protocol analyzer and generator functionality, as well as compliance test additions for the Examiner™ automated compliance test suite. USB Type-C Alternate Mode allows for non-USB traffic to be carried over the new USB Type-C cable, thus greatly expanding potential use cases, adding new power and signaling capabilities, and reducing the number of connectors on devices. The Explorer 350 Protocol Test Platform also supports SuperSpeed USB 10Gbps (USB 3.1 Gen 2), SuperSpeed USB (USB 3.1 Gen 1), USB Power Delivery, and USB 2.0. The versatile Explorer 350 gives USB developers the power of choice, as the system can be configured at purchase time to support one or more of the supported USB technologies and platform functionality, keeping costs in check while providing the option to update capabilities in the field as requirements necessitate. 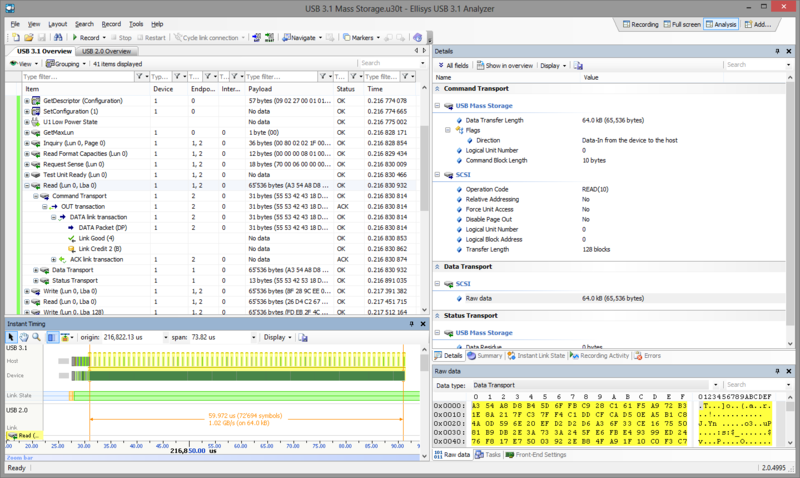 The Examiner compliance test suite is an add-on option to the Explorer 350 platform and includes hundreds of automated tests based on USB‑IF specifications (www.usb.org). Tests include protocol and physical layer coverage. As specifications evolve, the test suite is quickly updated and provided at no cost to the end user. DisplayPort is the first protocol to take advantage of Alternate Mode operation. This advancement expands the connection possibilities for monitors, docking stations, and other devices using DisplayPort video, while leveraging the power and signaling features provided by USB. Soon, more communication protocols are likely to take advantage of the features and benefits provided by USB Type-C and USB Power Delivery. Alternate Mode operation is a functional extension defined in the USB Type-C Connector and Cable Specification, released in 2014. Entry, exit, discovery, and configuration protocols for Alternate Mode are defined in the USB Power Delivery Specification, Revision 2.0. Both specifications were released by the USB Implementers Forum (USB‑IF) in 2014. In September 2014, the VESA DisplayPort Alt Mode on USB Type-C specification was released, defining DisplayPort Protocol between devices using USB Type-C cables and connectors. USB Type-C provides a sleek, slim connector design as well as reversible plug orientation and cable direction features. A picture of a typical USB-Type-C cable plug is located here. USB Type-C supports SuperSpeed USB 10Gbps (USB 3.1 Gen 2) and legacy USB speeds, as well as USB Power Delivery, which provides up to 100W of power at 20 Volts. Additionally, USB Type-C enables support for alternate modes of operation, for example DisplayPort and Thunderbolt. The Ellisys USB Explorer 350 Protocol Test Platform with DisplayPort Alternate Mode capabilities is available for immediate at purchase. For more information, visit www.ellisys.com or contact Ellisys at sales@ellisys.com. The DisplayPort Standard (www.displayport.org) is published by VESA (www.vesa.org), an international nonprofit corporation led by a board of directors which represents a voting membership of over 200 companies worldwide.